Are you a classic car enthusiast? If so, you will need to know where you can purchase classic cars, the value of the cars and the basics about making sure the car is genuine. Are you looking for a 1953 Nash Rambler? With a custom convertible landau? If so, you would like to have an idea of where to begin your search. This is not the type of car you can just open the newspaper and find. Classic cars – genuine classic cars – have certain aspects that make them unique and authentic. For instance, if you are interested in the 1953 Nash Rambler, you might be interested to know that out of the 3,284 that were made, there are only a few hundred left. You might also want to check and make sure the one you are considering has the Continental kit as well because this came with the convertible landau. Here is one that will make the classic car enthusiast jump for joy. The 1965 Ford Falcon Futura Convertible 289V8 is bound to be one of the classic cars that would be a proud addition to anyone’s collection. However, when you are looking for this particular car wouldn’t you like to know what they are worth? One particular car is selling for almost $26,000. How do you know this car is worth the price? The first thing you want to do is search for the car and see what the advertised prices are elsewhere. 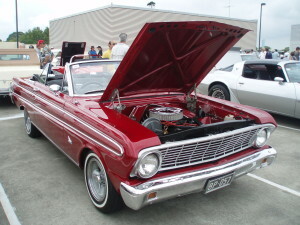 For instance, a Falcon of the same model but with a 302 instead of the 289 recently sold for $16,000. It was also a hardtop rather than the convertible. Do these things matter that much when it comes to price? To the dedicated classic car enthusiast, yes they do. The same place as one that recently sold was located there is another 1965 with a convertible top and 289 motor. This car is priced at $17,000. Therefore, the variance in price between these two classic cars is about $9,000. What makes one car worth more than the other or is the price of one too much? These are all questions that you will want answered when you are in the market for classic cars. There are several aspects of classic cars that you will want to consider when deciding to purchase one or another. Here are a few pointers on what you will be looking at when comparing cars. * In what shape is the exterior of the car? Is it rust-free or are there spots? Is one in much better condition externally than the other? * Listen and look at the motor. Does it sound like it should? Are there leaks underneath the car or on the engine? Always check the oil. Does it look like it has been recently changed? * Check the interior out very carefully. Lift mats and look for signs of moisture or rust. * If the car is not going to be a restoration car, drive it. This is the best way to see if the car is going to have any problems with steering, braking, or anything that will require immediate attention. A classic car enthusiast wants to find the best car he can find and at the best price. Knowing what to look for and where to look are two of the most important aspects when it comes to finding classic cars. If you have a particular car in mind, being ‘in the know’ may help you to be the first one in line to purchase your dream car. If you are a Classic Car Enthusiast and want to get some excellent resources about purchasing classic cars and classic car parts, this is the best site for you. Go here and share your thoughts on our best classic cars.